As you probably know there are some formats that are popular and can be played on most devices – but still have limitations. 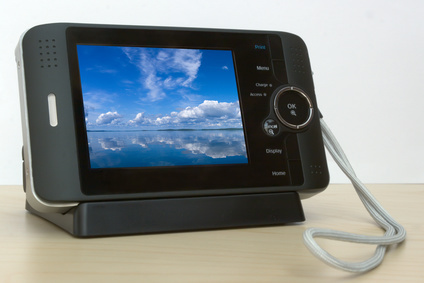 The MOV format is one such, and although initially it was mainly only compatible with Apple’s Macs or PCs with QuickTime installed, nowadays it is more widely compatible. Still, MOV does have limitations and on some platforms such as Android devices you may need to use a specialized player. That is why it is still helpful to convert your MOV files into MP4s instead, due to the fact that they are more universal and generally more compatible. The idea of converting videos may not be one that you’re very comfortable with, and you may not even know how to go about it. A good place to start is with Movavi Video Converter, as it will make it much easier to convert your videos from MOV to MP4 – or any other formats that you may require. If you have a MOV video that you want to convert, why not give it a try for yourself? Just start by launching Movavi Video Converter and adding the MOV video by clicking on the ‘Add Media’ button, then ‘Add Video’, and selecting it. Another option that you may find more convenient is to just drag and drop the video into the main window, as that will add it too. After you add a video to Movavi Video Converter, it will be listed in the main window along with various details about the format and video settings. To set the format that you want to convert your MOV video to, open up the ‘Videos’ tab in the bottom part of the interface and select the ‘MP4’ group. Within that group you’ll see numerous presets that each have different resolutions, and you can select the one that you want to use – or opt to use the original resolution if you prefer. When you want to convert the video, click on the ‘Convert’ button in the bottom right corner. Before you do you may want to look beside it to the ‘Save As’ field that you can use to set the destination folder that Movavi Video Converter will use. Additionally if you want to edit your video in any way before you convert it you should click on the ‘Edit’ button near where the video is listed in the main window. 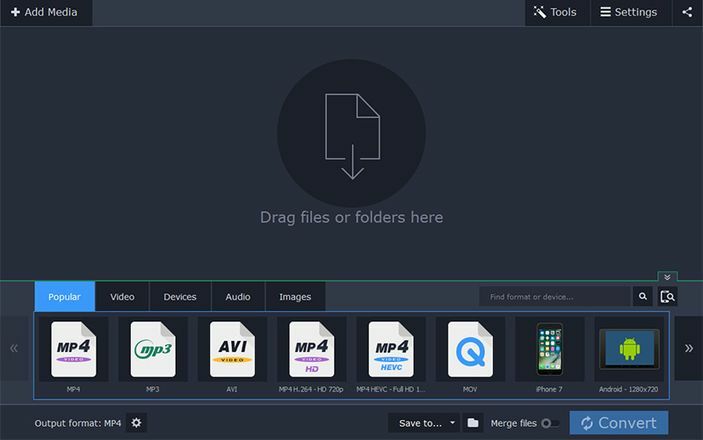 While it isn’t a full-fledged video editor, Movavi Video Converter has several useful editing tools that you may want to take advantage of. In fact it will let you trim, rotate, crop, enhance the video quality, or fix common issues with your videos. On top of that you can use it to convert audio and image files too, or even create animated GIFs or extract audio tracks from videos. As you’re probably starting to realize, Movavi Video Converter is more than just a ‘video’ converter. It is capable of converting all types of video formats, and can help you to adjust the video settings or even compress your videos. To add to that its editing features will help you prepare your videos in other ways too, making it a great utility to have just in case you ever need to make small alterations to your videos.